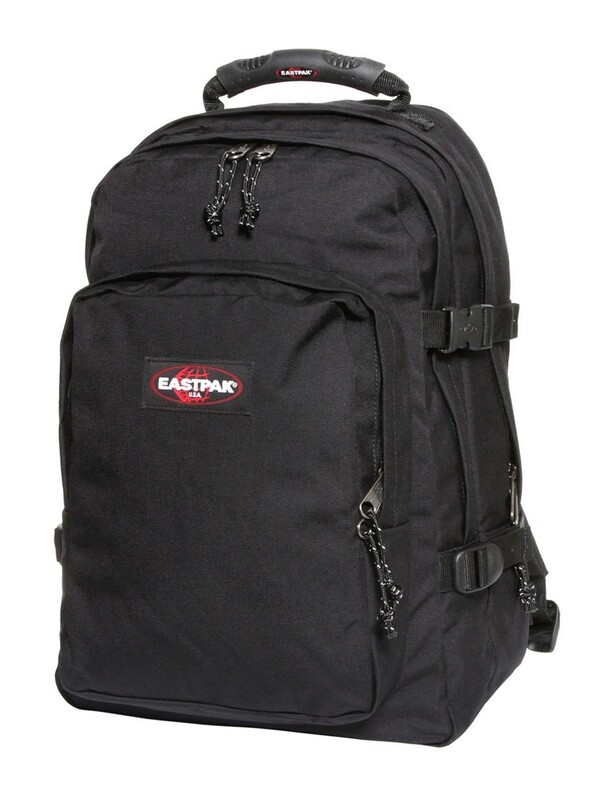 This Black coloured Eastpak Provider Bag features a large zipper compartment to keep accessories to the front. 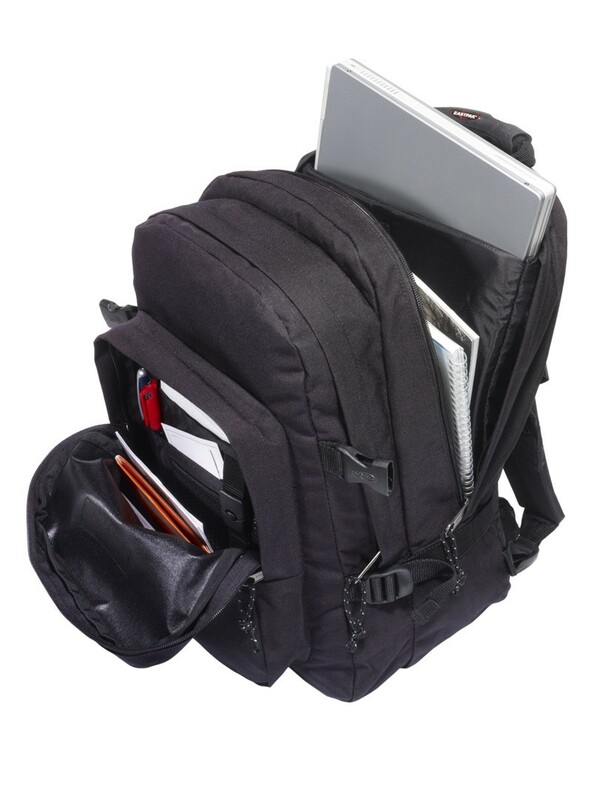 This bag for men has two large spacious compartments including a laptop sleeve that fits up to a 15 inch laptop, a padded bottom and front organizer pocket with detachable key holder and a stitched brand tab to the front. 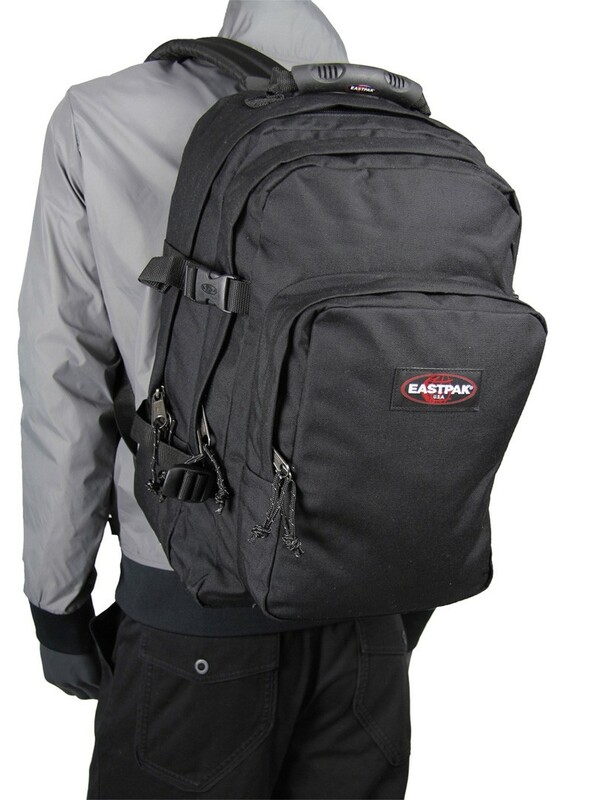 It also includes a comfortable quilted padded back and thick shoulder straps with SGS and side compression straps along with a rubber molded handle for easy handling of the bag. 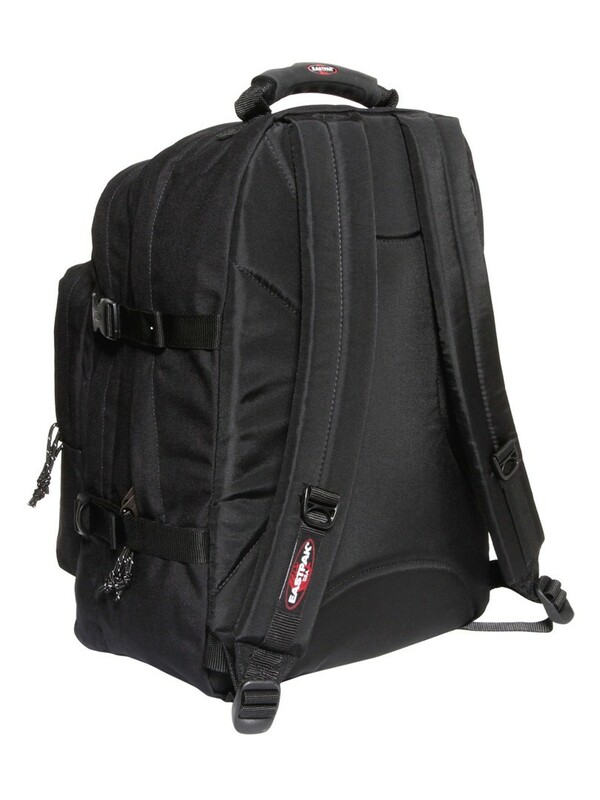 Capacity: 33L, Warranty: 30 years. Dimensions: 44cm(H) x 31cm(W) x 25cm(D).